Solanum trilobatum also called as thuthuvalai in tamil. In India, thuthuvalai herb is used as a traditional medicine and very good for treating common cold,asthma and cough. The process of cleaning is very time consuming as it has thorns even on the leaves. The thogayal tastes good with hot rice. Clean the keerai nicely and free from thorns. Heat oil in a pan, temper the items under "To Temper". 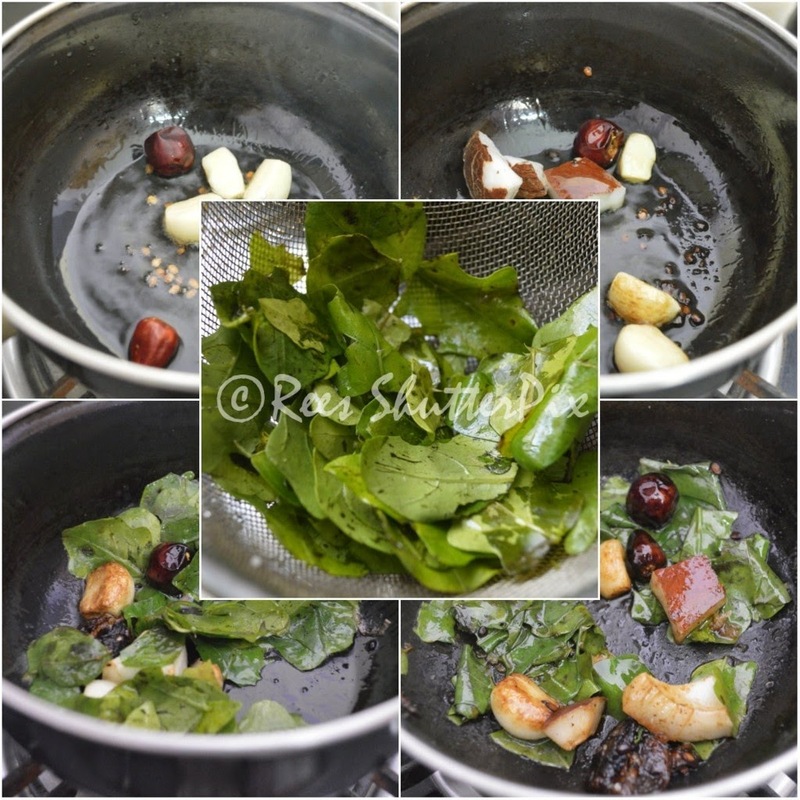 Add the keerai leaves and salt. Turn off. Once it gets cooled, add to the food processor and process coarse or smooth. Serve with hot rice!! The leave contains thorns on the backside and on the entire plant, so must be very careful in cleaning and should remove the thorns completely before cooking. It is important to remove the thorns before cooking as the thorns are considered to be mildly toxic. 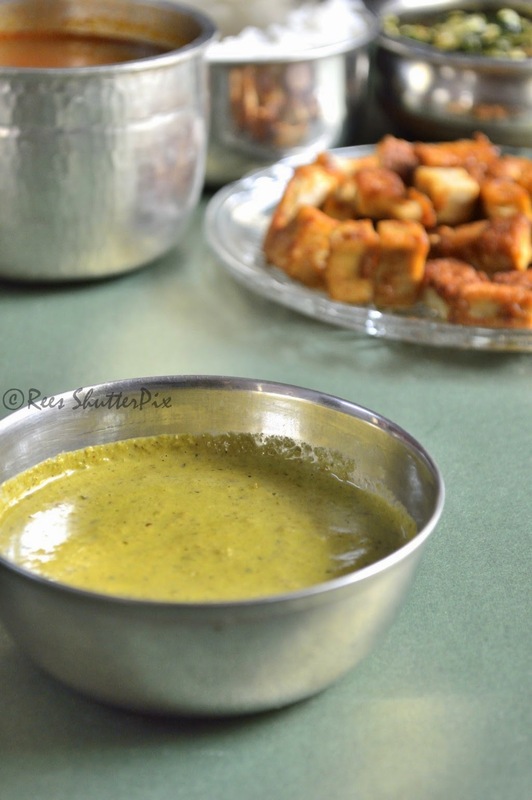 The powder form of herb can also be used for the recipe. 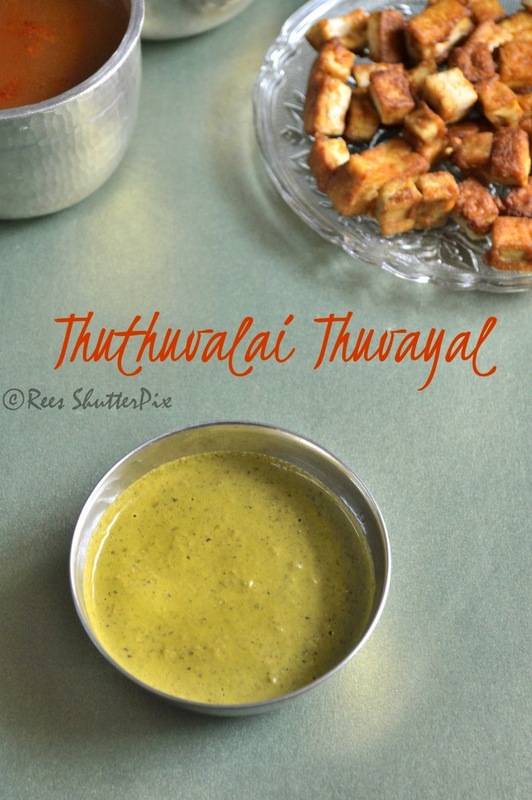 In Picture: Thuthuvalai Thogayal served with hot steaming rice and tofy 65!! Interesting recipe.. New to me..
One of my favourite recipe...can you tell me how to get good flavours on any biriyani.. Whenever I make biriyani.. I did not get that flavours. What should I do for getting biriyani flavours? wow, i have never really seen these leaves...Interesting! Seriously i miss this green here, very healthy thogayal. My in laws gave me these leaves and I was planning on making just this thuvayal! Very healthy one! Heard of this, but never tasted, healthy one..